What is it like to live to a ripe old age? What is it like to have to look after oneself in later life, or to be cared for by others? As life expectancy in the western world continues to grow, and as people manage longer periods of old age, these questions face us on a daily basis. With great honesty yet sensitivity, the author describes, in poetically moving words and phrases, the experiences of an old person at the boundary of life. Shortly after the death of her almost 90-year-old mother, Almut Bockemühl pauses to contemplate the four years of intensive care that she devoted to her. What happened during this period of sacrifice to a dying person? 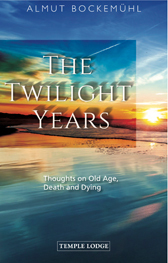 Taking a thoughtful, meditative approach, she describes invaluable experiences, concluding that old age, death and dying have the potential to touch the highest spheres of human knowledge and perception. ALMUT BOCKEMÜHL was born in 1933 in Idar-Oberstein, Germany. She studied German literature and biology and, as the mother of four children, made an intensive study of fairy tales and folk tales. She is a freelance writer, lecturer and course leader, and lives in Dornach, Switzerland. She is the author of A Woman’s Path.